We've seen flooded streets and washed out beaches, but even the birds, the animals and the forests are being affected by global warming. The stewards of Hawaii’s land and water are calling on the public and legislators to support their efforts to protect the islands from rising sea levels and other “horrific impacts” of climate change. Flooding and fires, heat waves and hurricanes, erosion and extinction are intensifying as a result of the planet warming from burning fossil fuels, Department of Land and Natural Resources administrators said Thursday in a public presentation. Flooding in Mapunapuna — one sign of worsening urban situations as climate change progresses. Even without an El Niño tropical weather pattern, 2017 was one of the hottest years on record. NASA said Thursday it was the second-warmest year, after 2016. 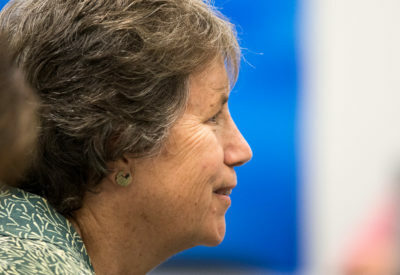 Case held up the Hawaii Sea Level Rise Vulnerability and Adaptation Report, which the new state Climate Commission approved last month, as a guide for the public and policymakers to understand the impacts and how to minimize them in the future. She said last summer’s king tides were a preview of what will happen more frequently and with greater intensity. The seasonal high tides encroached on shoreline hotels in Waikiki and caused unprecedented massive flooding in places farther inland, such as Mapunapuna. DLNR Chair Suzanne Case said last summer’s king tides were a preview of what’s to come. “Many of the decisions we’re going to have to make are going to be very difficult and they’re going to be very expensive,” Lemmo said. 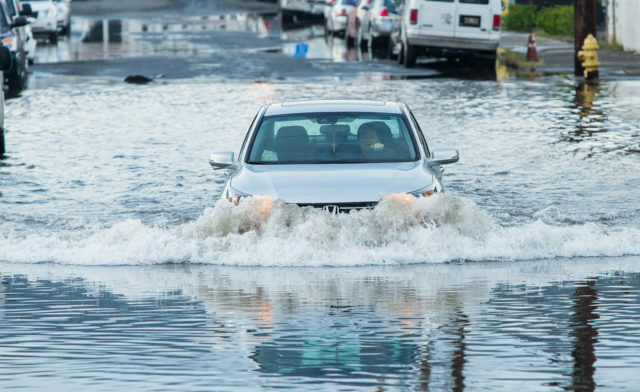 The report, which the Legislature mandated in 2014, says a 3.2-foot sea level rise by 2100 — the business-as-usual scenario — would result in more than $19 billion in flood damage to 25,800 acres of land and buildings. “Let’s just deal with the problem today and protect ourselves from these future events,” Lemmo said. The public already deals with delays in traffic and other inconveniences caused by climate change. Erosion eats away at coastal roads, which the state fixes and the public forgets about until the next time, he said. As the sea rises, Lemmo said inconveniences will become more frequent and construction delays will grow longer, “to the point where they become dangerous” because emergency vehicles won’t be able to get to where they need to go. “Ultimately, the system is going to fail,” he said, adding that highways in certain areas should be moved inland instead of perpetually fixed. The climate change problem runs mauka to makai. David Smith, Division of Forestry and Wildlife administrator, said climate change is threatening Hawaii’s forests, the source of fresh water for the state’s 1.4 million residents and nearly 10 million tourists who visit the islands each year. And disease-carrying mosquitoes have been moving higher up in elevation as temperatures rise, he said, restricting native forest birds, such as the endangered Hawaiian honeycreeper, to a smaller habitat. Smith said the department is working on land acquisitions to reforest degraded pastures for carbon sequestration. Water from clouds and moisture-laden air form on the ends of ohia leaves at Waikamoi Preserve on Maui. The preserve is part of a 100,000-acre East Maui Watershed, which provides 60 billion gallons of clean water annually to Maui’s residents, businesses and agricultural community. 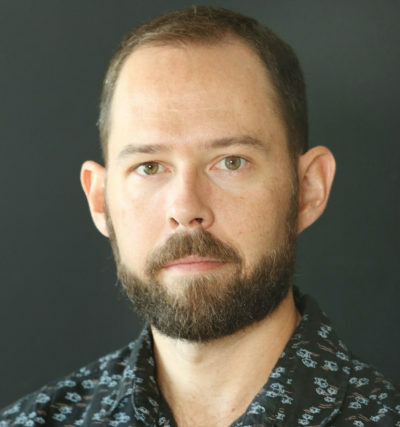 Bruce Anderson, Division of Aquatic Resources administrator, said a warmer, more acidic ocean increases the severity of coral bleaching, which can cause Hawaii’s reefs to collapse. The reefs act as a natural barrier to protect the coast from high surf and tropical storms. Corals also provide homes to the fish people rely on for food and tour companies depend on for business. 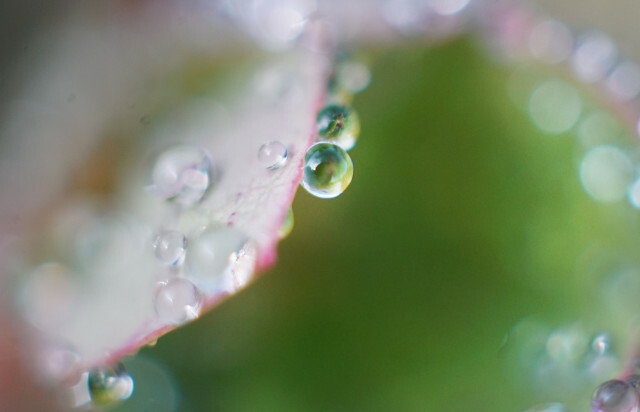 They’re also absorbing carbon dioxide from the atmosphere — reducing the severity of climate-change effects — and producing oxygen. Anderson said the department is working on rules to protect herbivorous fishes, such as uhu or parrotfish, that eat the algae that can smother corals after major bleaching events, such as the record-setting ones in 2014 and 2015. 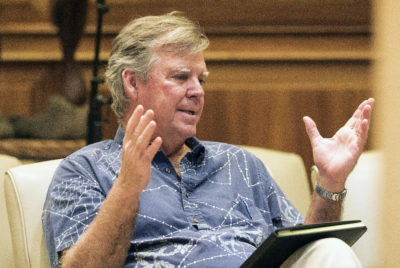 DLNR Division of Aquatic Resources Administrator Bruce Anderson said Hawaii’s nearshore waters and corals are already seeing the impacts of climate change. With a new legislative session having just convened, the near-term focus is securing support from lawmakers for budget requests to protect watersheds by removing hooved animals and improve water-quality testing by increasing capacity, among other initiatives, DLNR officials said. Anderson said he expects legislation to address coral bleaching. Scientists have determined that oxybenzone, the active ingredient in most sunscreens, harms corals and have advised the public to switch to a zinc-based sunscreen. Maui County has put forward a bill that would ban the use, sale and distribution of sunscreens and personal-care products that contain oxybenzone or octinoxate, another ingredient that’s harmful to reefs. The Senate has introduced similar measures. Efforts last session were rejected. Climate change is not a top priority of legislative leaders, who have said they plan to focus on housing and homelessness this session, which ends in May. Last year, the Legislature passed a bill that “requires the state to expand strategies and mechanisms to reduce greenhouse gas emissions statewide in alignment with the principles and goals adopted in the Paris Agreement,” the international accord to limit the global temperature increase to 1.5 degrees Celsius above pre-industrial levels. Gov. David Ige signed the measure and Hawaii has joined 15 other states in the U.S. Climate Alliance, which has a goal of reducing greenhouse gas emissions in accordance with the Paris pact. Sen. Lorraine Inouye and 11 other senators introduced one of the few bills so far this session that specifically addresses climate change. The measure would require a climate vulnerability assessment for permit applications to “construct, modify, relocate, or operate any regulated air pollutant source” starting Jan. 1, 2020.